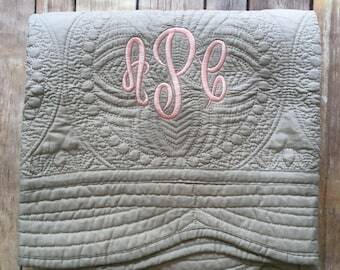 This listing is for a personalized monogrammed grey polka dot baby blanket for your sweet baby girl or boy. 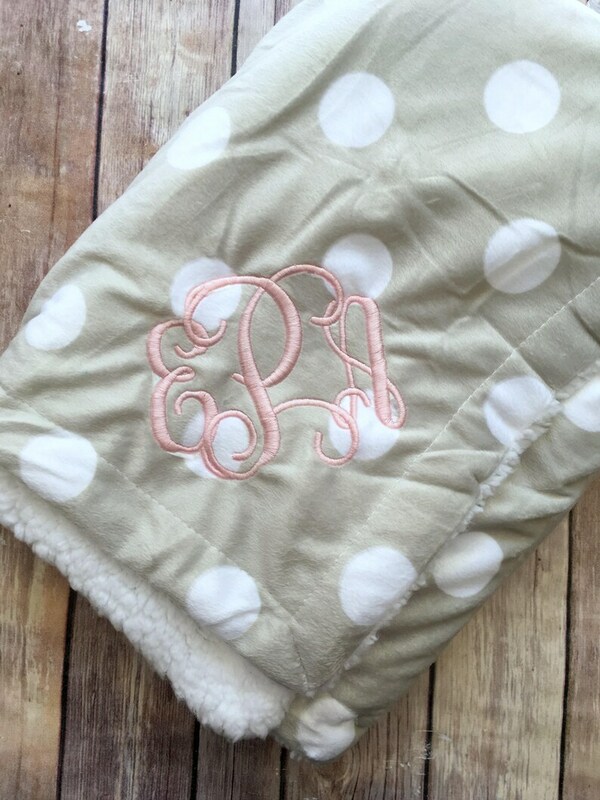 The soft grey blanket with the white polka dots would be perfect for either gender, and the snuggly sherpa fabric on back is so soft and plush. 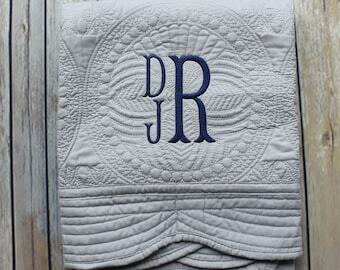 This warm and cozy blanket is wonderful as the weather cools down for your fall or winter baby! 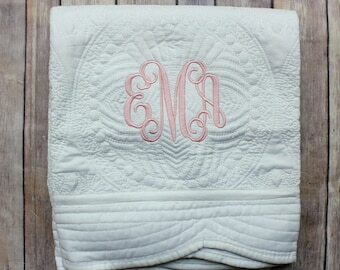 You can choose a different color monogram in the drop down options if you would prefer a different color than pink. 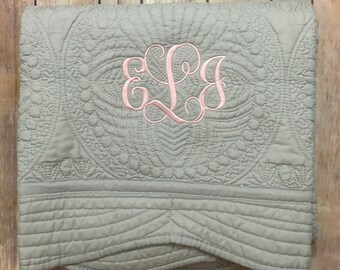 Love this blanket!! It is so cute and soft. Ordered this and the ruffled bib as a gift for a friend. She loved them! Great customer service and communication.